On a completely different front, it’s worthy of note that the Supreme Court has accepted for review a new case focused on whether the U.S. Patent and Trademark Office may refuse trademark protection for brands whose language is lewd or vulgar. The case concerns the USPTO’s decision to deny trademark protection to a line of clothing called FUCT. The case is interesting because it potentially revisits, at least by implication, a 2017 Supreme Court decision overturning a longstanding prohibition on trademarks that are “disparaging.” This category includes the marks of organizations such as Washington DC’s football team. I expressed my dismay at the 2017 decision here. The court allowed disparaging marks primarily on free-speech grounds even though patents and trademarks are government licenses whose function is primarily commercial rather than political. Admittedly, I’m not a legal scholar or a constitutional expert, but common sense suggests that the government should not be in the business of endorsing and protecting obviously offensive brands that insult minorities, women, etc. 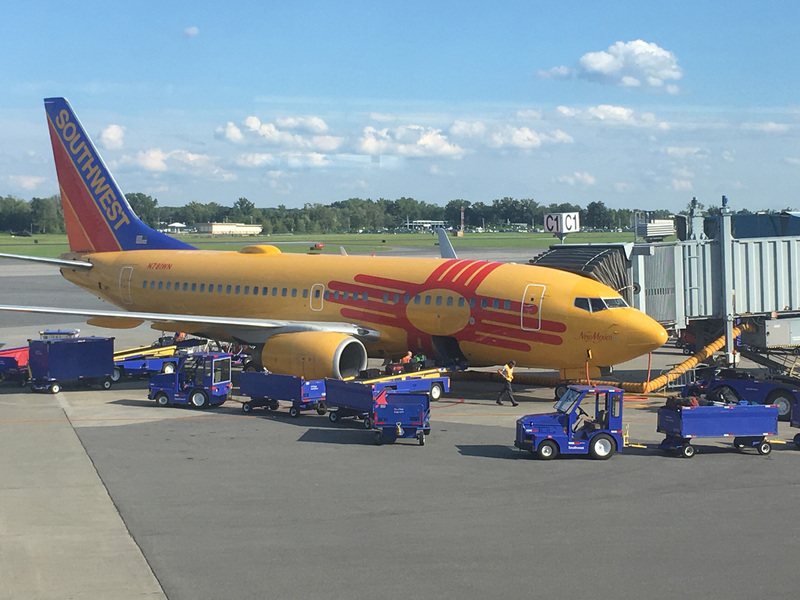 Companies remain free to embrace hurtful images and slogans as much as they like; the issue is whether the commercial value (if indeed there is any) of these brands is eligible for protection by the federal government. Nearly twenty years ago, when I first pitched a writing project focused on emerging disputes over the intellectual property (IP) of Indigenous peoples, my favorite editor’s reaction was that the topic was too specialized and, frankly, too boring to sustain a compelling book. Eventually I was able to convince her otherwise, and her editorial ministrations helped to shape a work whose longevity has surprised both of us. Not that it hasn’t evoked its share of criticism, but that is to be expected when dealing with a highly charged and complex topic. Fifteen years after publication of Who Owns Native Culture?, debates over strategies to protect the intangible heritage of Native Americans and other Indigenous communities have produced few durable solutions, an assessment shared by an influential Native American attorney to whom I spoke recently. The World Intellectual Property Organization (WIPO) continues to fiddle around with efforts to draft a global instrument that would offer protections to traditional knowledge, but its progress must be measured on a geological time scale. The news isn’t all bad. Contemporary concern about cultural appropriation has at least drawn broader public attention to the ethics of cultural borrowing or theft (take your pick), even if some of the activist discourse threatens to trivialize what’s at stake for Indigenous peoples. Creative research initiatives such as the now completed IPinCH project and Kim Christen Withey’s “In Transition” efforts give me hope that real progress is possible. A recent and entirely unexpected development that turns the Indigenous IP issue on its head is usually referred to as the “sovereign immunity” question. As the journalist Adam Davidson explains in a wonderfully succinct New Yorker piece published in 2017, a revision of patent law passed by the U.S. Congress in 2012 made it much easier for corporations to challenge patents held by others, potentially leading to a n explosion of expensive litigation. Exempt from the law are sovereign entities—typically nation-states but also federally recognized Indian nations. A creative patent attorney in Texas came up with the idea of helping corporations transfer their patents to sovereign Indian tribes as a way to minimize patent scrutiny. The first transfer took place between the pharmaceutical company Allergan and the St. Regis Mohawks. In exchange for the transfer, the Mohawks agreed to lease rights to patents associated with the best-selling drug Restasis back to Allergan for $15 million a year. It will come as no surprise that this clever ploy has sparked its own wave of litigation. As I write, the issue is far from settled. In October 2017 Sen. Claire McCaskill announced that she had drafted a bill that would invalidate patent transfers to Indian nations, a move that the Mohawks denounced as “hypocritical.” So far, the courts haven’t been sympathetic to Allergan’s strategy. Anyone as sympathetic to Native American causes as I am will be tempted to celebrate the Mohawks’ strategic use of their sovereign status to generate badly needed revenue for their community. And there is a delicious irony in Native Americans benefiting, perhaps for the first time, from an intellectual property regime that has long allowed the appropriation and exploitation of their traditional knowledge by powerful outsiders. Yet from a social justice standpoint this use of sovereignty is flawed at best, since its goal, at least from Allergan’s perspective, is to delay generic versions of Restasis from becoming available to patients, presumably at a lower cost. Chief Justice Earl Warren once declared, “In civilized life, law floats in a sea of ethics.” In this case, the ethical sea is notably unsettled and murky. Huipíl detail, Jilotepeque, Guatemala. Source: Wikimedia commons, Textile Museum of Canada. I have no way of knowing whether her paintings represent a commercial activity or only a hobby. In the latter case, it’s hard to see how imitations of, say, Pueblo pottery designs harm anyone. Still, it reminded me of how complex and confusing the issue of cultural appropriation is for many people, especially at the non-commercial end of the arts spectrum. And then there’s the question of how, or even whether, Indigenous artistic productions can be protected when appropriators imitate the style of a given tradition rather than actual works. Aspuac says that royalties received as a result of the patent would be divided among the community. The community will designate representatives to negotiate on their behalf with companies seeking to use their designs, and manage the distribution of funds back into the community. Aspuac and other leading members of the movement want to see the money invested in social projects like weaving schools and education for women and children. This sounds like a promising approach, and I hope it enjoys success. Nevertheless, it begs the question of whether such a law would effectively prevent the sale of “Maya-inspired” designs that don’t consist of exact copies of existing works. Where does Mayan creativity end and some other society’s creativity begin? How far into the past would such protection extend? And would it protect the work of Maya weavers experimenting with radically new artistic forms? The latter question might sound hypothetical, but after three years of hosting Native American artist fellows at SAR, I’ve come to appreciate how many of them are joyously breaking with tradition to pioneer powerful hybridized art. An example is found in the paintings of Ehren Kee Natay, as well as his work in other media. Ehren was SAR’s Rollin and Mary Ella King Native Artist Fellow in 2014. I expect that Indigenous Guatemalan artists aren’t far behind. One possible solution for the Guatemalan case would be to complement conventional copyright protection of finished works with a licensing program that would allow manufacturers to certify their work as “Mayan” or “Maya-inspired” for a fee. The licensing fee would have to be modest enough to be absorbed as part of the cost of doing business. It would be similar to Fair Trade certification, which assures customers that they are doing the right thing by purchasing a certified product. This strikes me as administratively more plausible than trying to enforce a “cultural copyright” on Maya weaving in all its forms and variations. I confess that I’m a sucker for feisty, against-the-grain assessments of thoughtless pieties of this nature, largely because recognition of the real injustices of certain kinds of inter-cultural theft are undermined by indiscriminate accusations that one group is stealing cultural elements from another.. Living in the Southwest and regularly engaging with Native American nations has sensitized me to the harmful effects of thoughtless imitation, even when well intentioned—a prominent case in point being the history of the Smoki People, a group that imitated Hopi rituals and dress for decades. 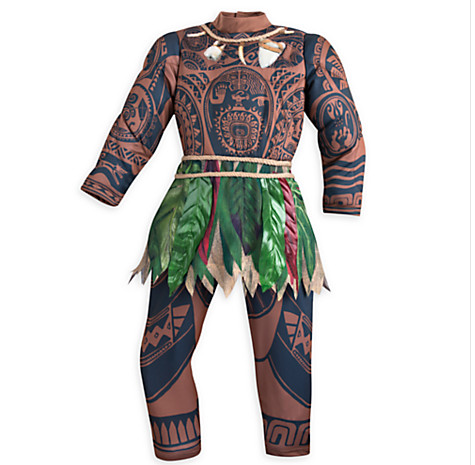 In short, cultural appropriation is a real problem worthy of informed criticism. But critical distinctions need to be made lest it be reduced to an empty slogan, which I take to be the point of deBoer’s post. 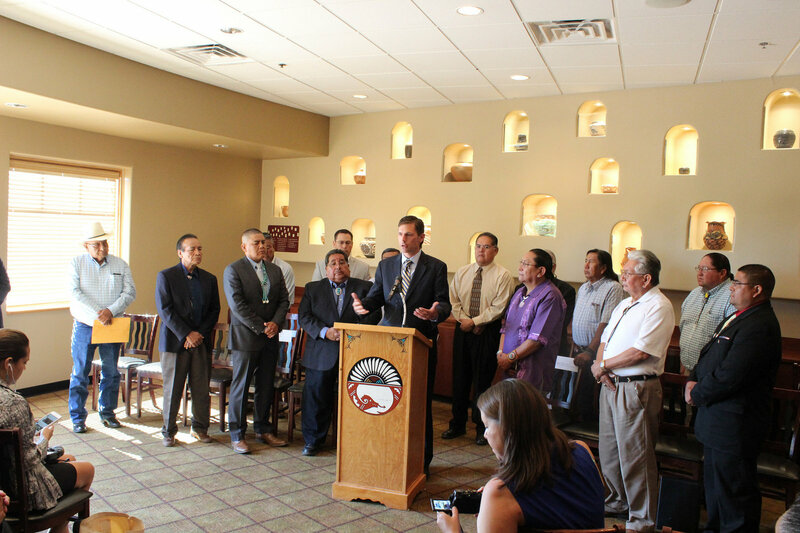 Sen. Martin Heinrich (D-NM) and NM tribal leaders at a July 2016 press conference held to publicize the Safeguard Tribal Objects of Patrimony (STOP) Act, which has been submitted to the US Congress. Source: http://www.heinrich.senate.gov. Laws, policies, and attitudes about cultural heritage–especially the heritage of indigenous peoples–continue to evolve, largely in the direction of acknowledging past injuries and formulating protection strategies for the present and future. It’s fair to say that relevant policies are somewhat easier to develop when dealing with material goods such as human remains and objects of religious significance. These can only exist in one place at a time (unless they’ve been replicated digitally), which means that in principle they can be returned to the control of the communities that created them. This process is made more complicated by global trade, a problem that has come to public attention as a result of recent attempts to auction Native American religious items in Paris. These auctions sparked a public outcry in the United States, but thus far efforts to stop such sales have had only partial success. This unfortunate situation has prompted US lawmakers, with the full support of Native American leaders, to draft S. 3127: Safeguard Tribal Objects of Patrimony (STOP) Act of 2016, currently under review by the relevant congressional committees. If passed, this law would would increase penalties for the exportation of items of Native American cultural patrimony obtained illegally. Whether this bill will gain traction in a deadlocked Congress remains to be seen. A couple of recent publications that frame the broader problem of cultural theft and appropriation are worthy of mention. One is the Texas Law Review essay, “Owning Red: A Theory of Indian (Cultural) Appropriation” (2016) by prominent Native American legal scholars Angela R. Riley and Kristen A. Carpenter, which is downloadable here. Riley and Carpenter attempt to formulate a unitary approach to understanding and dealing with cultural appropriation. They recognize that this isn’t easy because claims to intangible property are, in their words “particularly fraught.” Native Americans, they observe, tend to see intangible heritage as indistinguishable from material heritage even though Anglo-American law treats intellectual property differently from real and personal property. Riley and Carpenter frame their analysis within the long history of appropriation of Indian resources by the United States. They explore a number of familiar cases, including the ongoing legal tussle over the name of the Washington, DC, football team. (Although they see the latter as part of a long history of appropriation, it seems to me more persuasively treated as a case of defamation.) In the end–and perhaps surprisingly for legal scholars–they don’t see law as the solution to some forms of appropriation. Native people, they insist, are mostly calling “not for laws, but for understanding and education,” including respect from the dominant society. Watkins bluntly states, “Heritage is a property—something that is passed down from previous generations.” This is a defensible claim in the context of his essay. But exactly what kind of property is it? Most property is reasonably stable, with well defined limits. Some elements of heritage may enjoy such stability; others may not. And what are its boundaries? Apparently they are whatever the community of origin says they are at any given moment. To what extent, if any, is heritage “non-rivalrous” in the sense that one group’s identification of an element of heritage doesn’t preclude other groups from embracing it as well? Which members of a given community are qualified to anoint elements of heritage as cultural patrimony? Another perennial problem in heritage debates is presentism, the judgment of past actions by the moral standards of a later time. Looking forward, it’s not unlikely that an object or cultural production considered an item of commerce today will, at some later point in a group’s history, be redefined as “cultural patrimony.” This is evident in the way that some European nations pass laws to prevent the export of great works of art that despite their commercial origin are now closely identified with British or French or Italian heritage. Closer to home, developers in New Mexico sometimes find themselves pitted against local preservationists committed to protecting the remnants of Route 66, which to them represents a form of shared American heritage. I’ve heard art dealers complain that the proposed STOP legislation doesn’t protect them from the possibility that objects legally purchased or sold today will at some point in the future be redefined as the cultural patrimony of the Indian nation that produced them, thus compromising the objects’ market value. In my view this isn’t a powerful enough argument to warrant opposing the legislation. That said, it’s not an entirely meritless concern. The fast-growing field of Heritage Studies needs deep thinking about the essential qualities and limits of cultural patrimony. The unanswered questions about patrimony shouldn’t stand in the way of progressive policies and legislation designed to prevent further injustice. Nevertheless, until the field produces a comprehensive theory of cultural patrimony, cultural protection laws will be built on an inherently unstable foundation.